Greenville City Schools has provided its entire student body with iPads as of the 2018-19 school year. The devices provide many advantages to students, according to school officials. 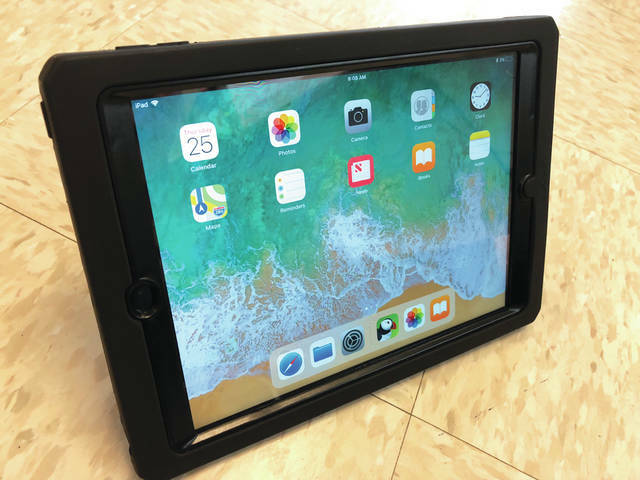 GREENVILLE — Greenville City Schools has provided its entire student body with iPads as of the 2018-19 school year. 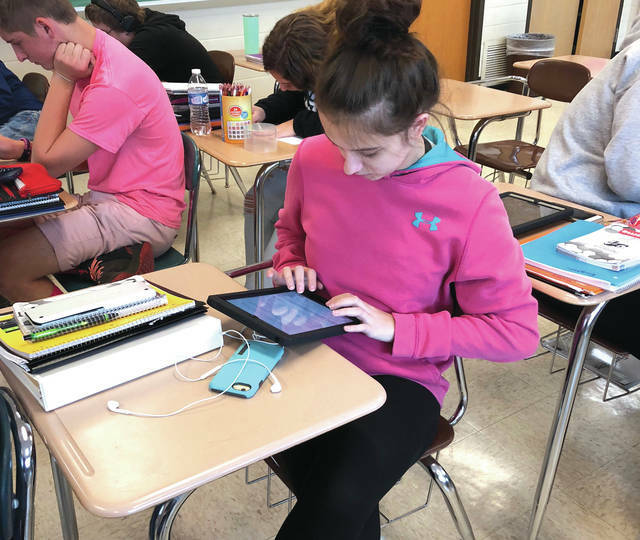 School administrators knew it wouldn’t be feasible to provide every student with an iPad until they’d moved to their new school building and upgraded their wireless capability, according to Assistant Superintendent Laura Bemus. Once that move was made, they began providing the devices to a couple of grade levels at a time, starting with kindergartners and first graders and working their way up to fifth and sixth graders by the beginning of last year. This year, they decided to push forward and equip the remainder of the student body. The devices provide a number of advantages to students, Bemus said, including access to a program called E-Spark, which analyzes each student’s scores on standardized tests and provides them with individualized apps and content tailored to their educational strengths and weaknesses. The iPads also provide access to digital textbook subscriptions, which in addition to providing web-based features that can supplement the material contained in a physical textbook, also eliminate the need for students to carry bags full of heavy books to and from school each day. The move, Bemus said, is expected to save the district lots of money in the long run. Concerns have been expressed about iPads being broken, lost or stolen, but Bemus said there have been few issues in that regard. Additionally, school administrators have the ability to track the location of lost or stolen devices, as well as to lock or shut them down remotely, rendering them useless to potential thieves. As for students misusing the devices for other than educational purposes, Bemus said that steps have been taken to guard against that as well. Teachers have the ability to remotely lock the devices, freeze their screens and even project an individual device’s display onto their own screen. This entry was tagged Greenville, Greenville City Schools, iPad, iPads. Bookmark the permalink.